They've applied them to improve television sets, for example, to greatly enhance color. A host of other applications are being pursued, involving integrated circuits, solar cells, computing, medical imaging, and inkjet printing, among others. But quantum dot synthesis has occurred largely by trial and error, because little has been understood about how the chemicals involved in making quantum dots—some highly toxic—actually interact to form the resulting nanoparticles. That may be about to change. In a paper in Nature Communications, Todd Krauss, professor and chair of the Department of Chemistry at the University of Rochester, and PhD student Leah Frenette, the lead author, describe the underlying mechanisms involved in the formation of a widely used class of quantum dots that use cadmium and selenium compounds as their molecular precursors. Ironically, the team discovered that, at one point during this process, the safer, more controllable compounds now employed decompose into the same highly toxic compounds that were used in initial quantum dot production 30 years ago. "We have essentially gone 'back to the future' with our discovery," says Krauss. "What Leah discovered was, during the quantum dot synthesis reaction, the currently used compounds decompose into the very chemicals we have been trying to avoid for decades, which then react to form the quantum dots." Lead to removal of much of the guesswork in production of cadmium/selenium quantum dots that has led to inconsistencies and irreproducibility, hindering industrial applications. 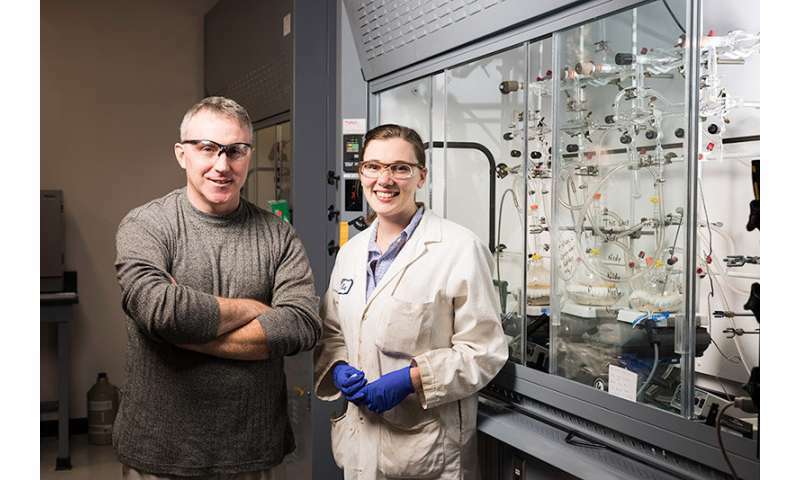 Alert researchers and companies working on large scale quantum dot syntheses that that highly toxic hydrogen selenide and cadmium akyl complexes (arguably the most dangerous chemicals in the world) are still "lurking" as part of the synthesis process. Help explain the chemical behavior of phosphines used in a broad range of quantum dot reactions at high temperatures. 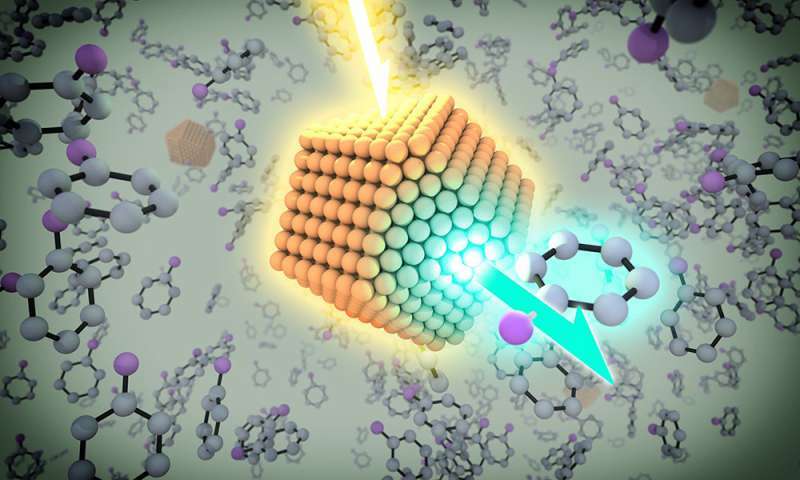 Quantum dots, which exhibit properties intermediate between bulk semiconductors and single molecules, are particularly interesting materials because they have properties that are highly "tunable." 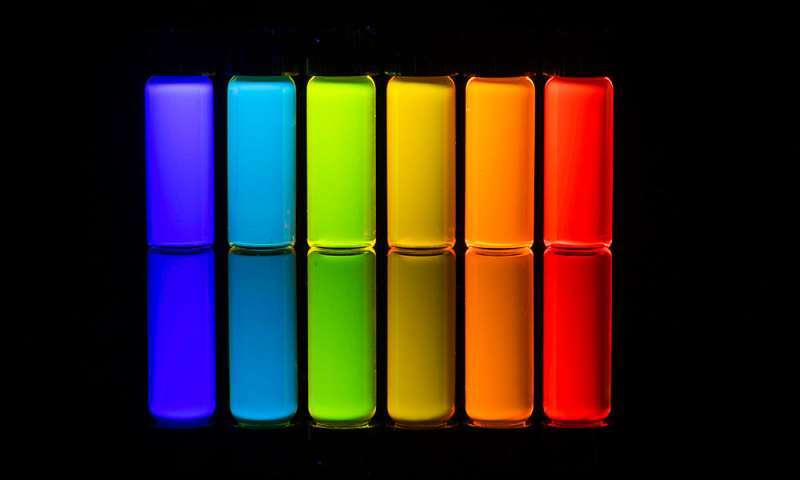 For example, larger quantum dots emit longer wavelengths, producing reds and oranges. Smaller dots emit shorter wavelengths resulting in blues and greens, although the specific colors and sizes vary depending on the exact composition of the quantum dot. "You change the temperature, you change the precursor concentrations, you change the volume of the flask, you change the solvent, and eventually you find the right combination of factors that give you particles (dots) of high quality," Krauss says. He likens current synthetic approaches to an audiophile adjusting the treble and bass knobs on a sound system, without any deep understanding of sine waves. "It works. But at some point we feel you have to figure out exactly how the dots are made, and that's what will lead to future breakthroughs in making them significantly better," Krauss says.